10 X 10 Blister Strip kept in a multicolor laminated box. 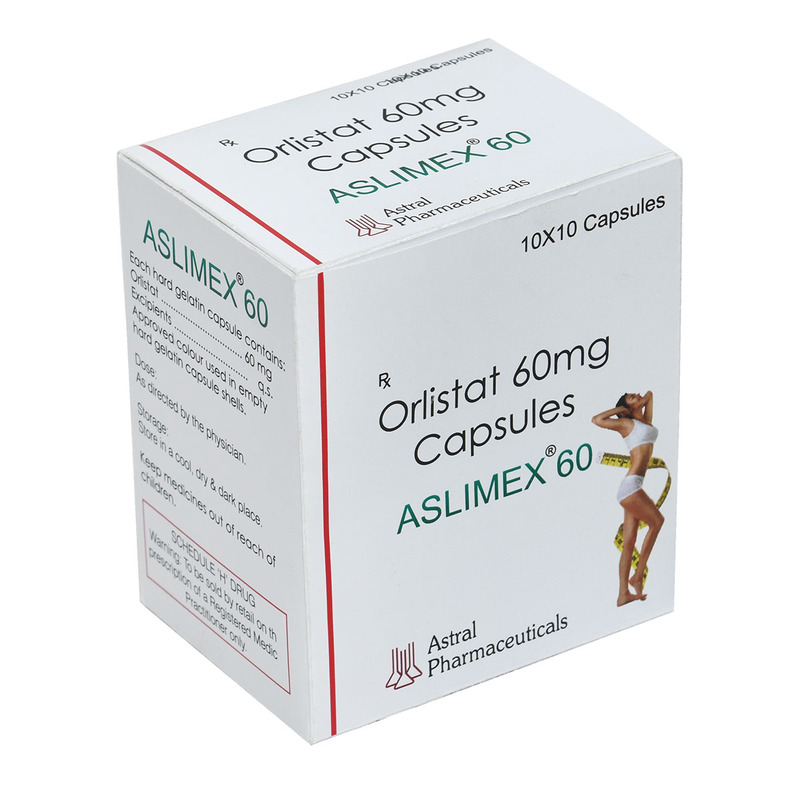 Orlistat is a drug that promotes loss of weight by preventing the digestion and absorption of fat in food. Orlistat is combined with a reduced-calorie diet to promote weight loss. Orlistat also may be used to prevent weight gain after weight has been lost.